Easter Bunny design on a painted worn finish. 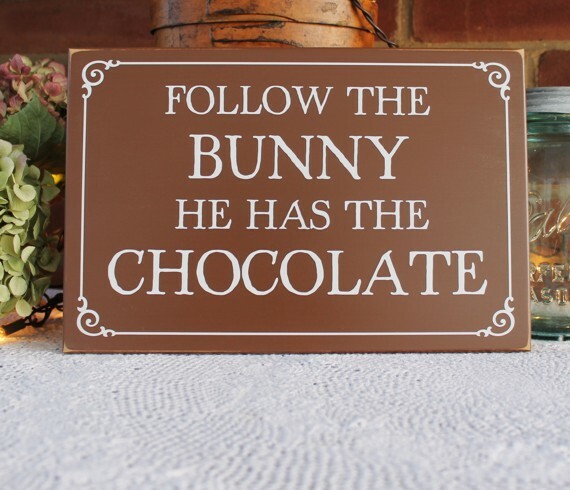 Funny bunny saying on a 8x12 inch sign. 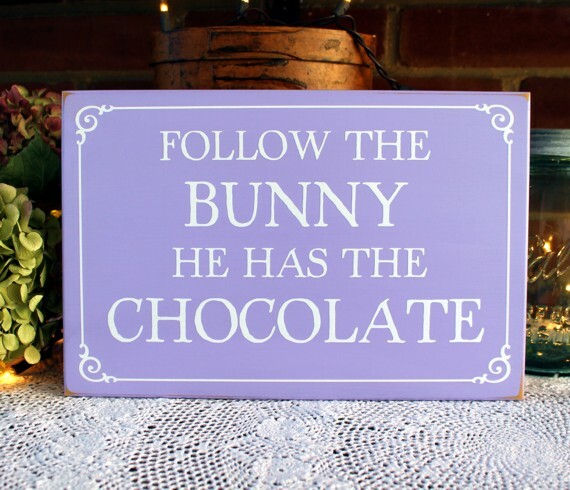 Easter wall decor for your springtime home.